If you experience significant, persistent psychological symptoms such as depressed mood, anxiety, mood swings, obsessions and compulsions, dysregulated eating (i.e., binge eating, purging), or disturbed sleep, medication can be a potentially helpful part of your treatment plan. Medications used to treat these and other symptoms, commonly seen across a number of psychiatric diagnoses, are referred to as psychotropic drugs. Psychotropic medications are those that affect your mind—your emotions and your behavior—typically by altering the balance of the chemicals in your brain called neurotransmitters. Each works uniquely. For anxiety and depression, for example, there are mechanisms of specific classes of commonly prescribed medications. To determine if a medication might be useful for you—and which one—the first step is to meet with a clinician for an evaluation of your symptoms. Prepare yourself for a discussion about medication and other treatment options like psychotherapy, by reviewing these helpful guidelines. Note that medications are sometimes used to treat symptoms or disorders outside the aforementioned categories. For example, antidepressants with sedating effects may be used for sleep and antipsychotics are sometimes helpful for symptoms other than psychosis. If you are confused or concerned about your prescriber’s recommendations, ask questions so that you understand his or her rationale and the treatment plan. Who Can Prescribe Medication for Me? Not all mental health clinicians can prescribe medications, and it is those clinicians who can prescribe who will be in the best position to have an in-depth discussion about the relative merits and risks of specific medicines. Psychiatrists are medical doctors who specialize in treating individuals in need of psychotropic drugs. Many psychiatrists provide psychotherapy as well; psychiatrists who primarily treat patients with medications (that is, their patients may participate in talk therapy with another provider, or not at all) are sometimes referred to as psychopharmacologists. Primary care physicians and nurse practitioners (including specialized psychiatric nurse practitioners) also oversee medication treatment in some cases. I’ve Decided to Try Medication to Help With My Symptoms. Now What? As with any other kind of medicine, it is crucial to take psychotropic drugs as prescribed. Depending on the medication, this could be daily or multiple times per day (as is the case for antidepressants and mood stabilizers), or as needed at the onset of symptoms or in situations in which symptoms might occur (as is the case with anxiolytics and hypnotics). As with any kind of treatment for any kind of medical issue (such as taking an antibiotic for strep throat), it is important to follow your doctor’s instructions for medication use, and to be in touch with your doctor if you would like to deviate from the plan for any reason. What Do I Do if I Experience a Possible Medication Side Effect? All medicines carry a risk of side effects, and psychotropic drugs are no exception. The side effects vary by medication and from person to person. Before starting a new medicine, your doctor will review common and uncommon side effects, and will discuss those that can be serious versus those that can simply be inconvenient or unpleasant. If you experience a side effect, contact your prescriber to discuss how best to proceed. You might be advised to decrease the dose, discontinue the medicine altogether, or to stay the course if the side effect is tolerable. In some cases, side effects may improve or resolve completely in time. At the onset of treatment, discuss how you should handle missed doses of the medication you’ve been prescribed, i.e. whether to make up the dose or simply wait until the next scheduled dose. If you are taking a medicine daily (or more), establish a routine that will encourage consistent medication use. Use your environment and your technology to help you remember. Storing your prescription bottle near your toothpaste, for example, might help you remember to take it in the morning and/or at night. Setting an alarm on your Smartphone may facilitate consistent medication use throughout the day. If I’m Feeling Bad, Does That Mean I Should Take More Medication (a Higher Dosage)? If you are advised to take a medication at the onset of symptoms – for example, an anxiolytic if you begin to experience symptoms of a panic attack—your physician will recommend a minimum and maximum dosage to take for safe and effective symptom reduction. For other classes of psychotropic drugs, including antidepressants, mood stabilizers, and antipsychotics, it is very important to consult with your prescriber before making any changes to your medication plan. Medications vary in the relationships among dosage, beneficial effects, and adverse or toxic effects. Your doctor will be able to advise you how best to reap the benefits of the prescribed medication while minimizing the risks of unpleasant or harmful side effects. What Health Behaviors Might I Need to Monitor or Change While on Medication? All medicines have the potential of interacting with other substances, including alcohol and recreational drugs. If you are taking a psychotropic medication, it is likely that you will need to alter (i.e., decrease) or discontinue your use of alcohol and other recreational drugs. These medicines can decrease your tolerance, or carry a risk of harmful interaction effects. Alcohol and other drugs in and of themselves are also known to impact mood, anxiety, sleep, eating, etc. Therefore it is also advisable to limit use of these substances in order to best evaluate how much a particular medicine is helping your symptoms. Some psychotropic medications can result in changes in eating behavior and weight. A stable eating pattern—three meals plus a few snacks daily—can help protect against overeating. Let your prescriber know if you experience changes in your eating pattern or appetite, and consider monitoring your weight at regular intervals (perhaps weekly or monthly) in consultation with your clinician. Sleep is essential for mental and physical wellbeing. Your sleep pattern might change while on a medication not aimed to target sleep as a symptom. If you experience a modest change, you might monitor your sleep over an extended period (perhaps a week or two) using a sleep log and discuss the new pattern with your physician at your next scheduled appointment. Significant changes in sleep may signal a change in other psychological symptoms (for example, more anxiety, lower mood, or elevated mood) and therefore warrant more immediate consultation with your prescriber. How Will I Know If the Medicine Is Helping? By paying attention to changes in the symptoms your medicine was intended to target, you will get a sense of whether or not (and how much) this kind of treatment is helping. If the psychotropic drug is fast-acting, like a stimulant for ADHD or an anxiolytic for a panic attack, you will know relatively quickly by paying attention to your ability to focus (in the case of ADHD) or to relax (in the case of a panic attack). For the medicines that are slower-acting, like antidepressants and mood stabilizers, you may not appreciate an improvement in symptoms for days or weeks after you first achieve a therapeutic dosage. In some cases, it may be your trusted friends and family who notice a change in you before you feel it for yourself. Your prescriber will help you track what is happening with your symptoms over time by asking a set of fairly standardized questions (or having you complete a questionnaire) at your appointments. I’m Feeling Better and I’d Like to Come off My Medication—Can I Stop Taking It? The answer to this frequently asked question is: it depends. In all cases, it is recommended that you speak with your physician about if and how to safely stop taking a psychotropic medication. Some medications may simply be discontinued while others should be tapered over time prior to stopping altogether. As part of this discussion, you will also be asked to identify warning signs of a lapse that would require another course of medication treatment. In some cases, continued use of the medication will be the way to continue to feel better. This is especially true for the symptoms targeted by antipsychotics and mood stabilizers, and may be the case as well for individuals with longstanding depression or anxiety that is well managed by an antidepressant. If you have worries about remaining on a psychotropic medication in the long-term, an open dialogue with your prescriber may help address (and alleviate) your particular concerns. 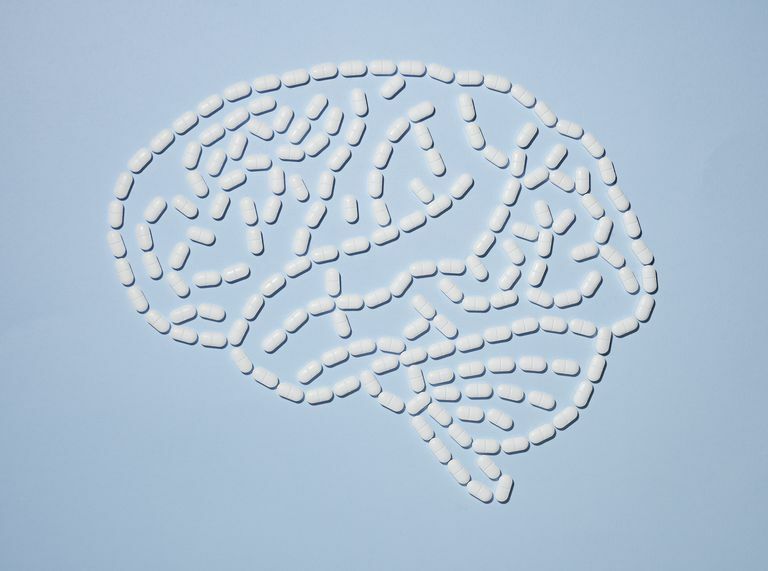 Can I Become Addicted to a Psychotropic Medication? The majority of medications used to treat anxiety disorders, mood disorders, or psychotic conditions do not carry a high risk for abuse. A notable exception to this is medication in the benzodiazepine family (e.g., Ativan, Xanax, Klonopin). These drugs, which are known to be potentially habit-forming, can be an effective part of a treatment program for anxiety when used strictly on an as-needed basis, for short periods of time, and as prescribed by your doctor. If you are taking more than the recommended dose, or are using these drugs more often than recommended, it is essential to talk to your prescriber about your pattern of use. There may be alternative medications—or other strategies—to try. Benich, J. J., Bragg, S. W. & Freedy, J. R. Psychopharmacology in Primary Care Settings. Prim. Care 43, 327–340 (2016). Briars, L. & Todd, T. A Review of Pharmacological Management of Attention-Deficit/Hyperactivity Disorder. J. Pediatr. Pharmacol. Ther. JPPT Off. J. PPAG 21, 192–206 (2016). Hoge, E. A., Ivkovic, A. & Fricchione, G. L. Generalized Anxiety Disorder: Diagnosis and Treatment. BMJ 345, e7500 (2012). Donovan, M. R., Glue, P., Kolluri, S. & Emir, B. Comparative Efficacy of Antidepressants in Preventing Relapse in Anxiety Disorders - A Meta-Analysis. J. Affect. Disord. 123, 9–16 (2010). McElroy, S. L., Guerdjikova, A. I., Mori, N. & O’Melia, A. M. Current Pharmacotherapy Options for Bulimia Nervosa and Binge Eating Disorder. Expert Opin. Pharmacother. 13, 2015–2026 (2012). Pratt, L. A., Brody, D. J. & Gu, Q. Antidepressant Use in Persons Aged 12 and Over: United States, 2005-2008. NCHS Data Brief 1–8 (2011).